Taking and creating notes is a fundamental part of any test prep process. So is the careful storage and archiving of those notes. At GoConqr we know all too well the effort that goes into creating great GRE Prep notes only for them to be lost, misplaced or damaged. So why not try what so many others are doing and keep your learning and study aids online. As you can see, our platform is easy to digest, easy to navigate and easy to operate. 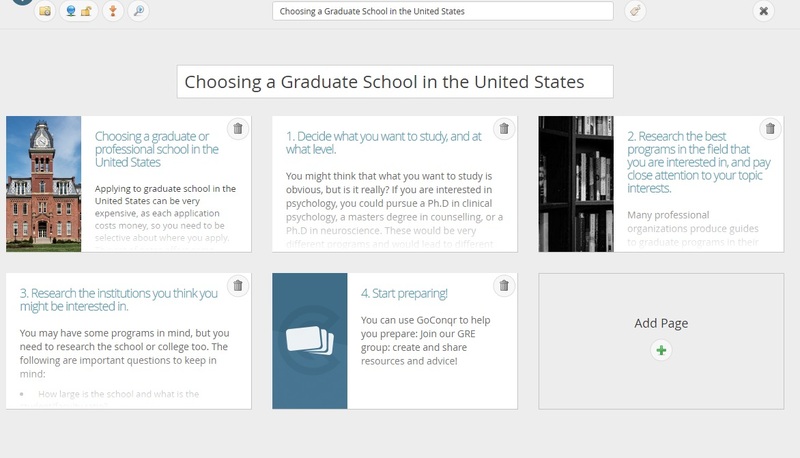 You can use the GoConqr tool to create any type of GRE Prep Notes you like. The sharing feature means that you can place the resource almost anywhere and link friends to it from Social Media platforms too. Our editing platform where you create your notes is very user friendly. Not only can you add content, there is an option to add images and videos from platforms such as YouTube and Vimeo. You can make your notes private, share them, copy them to another folder and even print them out. When you want to see how your resource is coming along just click into ‘view mode’. By now you are more than ready to begin creating your first set of GRE Prep Notes. If not, head on back to our GRE Test page and gain an insight into our other tools. If you’d rather just pick up some tips and information we have that there too.